Chardonnay wine pairs with food better than almost any other white wine. Why? It’s not a wine of extremes. It’s not heavy in acid or tannins but it has more structure than most other white wines, so may people think of it as a chameleon. However, Chardonnay’s food pairing traits are often overstated. True, it’s tough to find foods with which Chardonnay won’t conflict, but not conflicting is very different than actually complimenting food. We’re here to show you food that pairs well with Chardonnay, not just survive with Chardonnay. 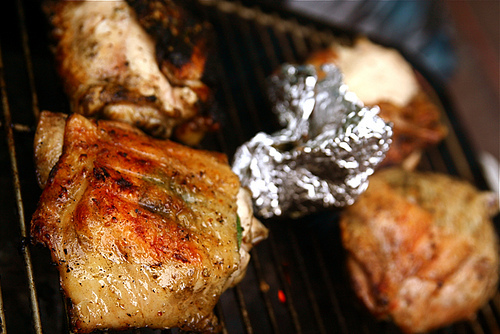 Pairing Chardonnay with chicken is probably the classic combination. This simple lemon and rosemary chicken is a perfect compliment. 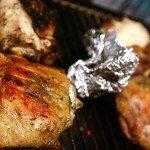 There are a few “don’ts” when pairing Chardonnay with chicken, though. Namely, make sure to avoid acidic or sweet sauces over the chicken, and you’ll be fine. Wine with sandwiches? Heck yeah! Chardonnay pairs bread and pasta quite well. Softer cheeses also are nice compliment. Put them together with chicken or turkey and you have a sandwich that is a gourmet meal. Try this chicken and roasted red pepper aioli panini. I love sandwiches and I can’t wait to try this one (of course I guess I need to buy a panini press first). Snapper may be the quintessential fish to pair with Chardonnay. 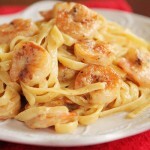 It’s rich, not too fishy, and flourishes with simple butter based sauces. When serving Chardonnay and snapper, it’s best to keep the ingredients simple and let both the wine and the fish shine. Try this pan friend snapper recipe for starters. Chardonnay pairs with cream sauces better than almost any other white wine. The heavier acid content with other sauces can cause the cream to “curdle” for lack of a better term, which tastes almost as bad as it sounds. If you are looking for a dish to spoil yourself with, pair a rich shrimp with an equally rich cream sauce and serve a nice, buttery chardonnay with it for a good compliment.Not wild about sea food or want to keep it simple? 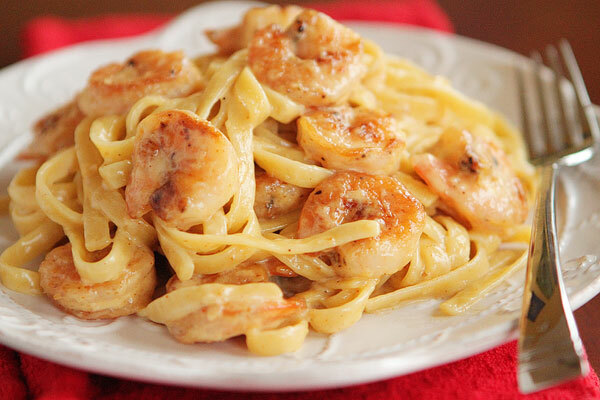 Try this Cajun Alfredo sauce with pasta but add a couple of garlic cloves. Trust me, you won’t be sorry unless you are really counting on a hot date that night. We highlighted a couple of seafood dishes above but in reality if you really like Chardonnay, it will pair with almost any seafood. Sure, there are a few like Riesling or Pinot Grigio that might work better with one type of another but there are very few seafoods that will actually conflict with Chardonnay . If you are pairing Chardonnay with cheese, stay with softer cheeses like Brie or Camembert to really make the pairing work. Make sure you serve your Chardonnay correctly. Please, please, please, do not serve it directly out of the refrigerator and DO NOT put ice in it. 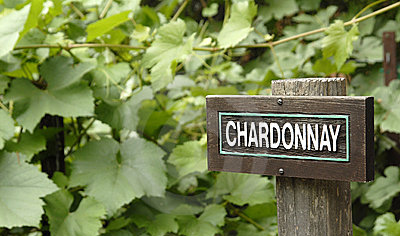 Chardonnay is meant to be served at cellar temperature to allow it richness to open. Visit our main site to learn how to best serve Chardonnay. Winery-Sage is an online Winery Encyclopedia designed to help you compare wines, wineries, and regions by using a unique database. Cross-reference varietals and the wineries that produce them, as well as discover events sponsored by wineries and associations. We’re not here to sell you anything or pass you off to paid advertisers, just share the love for wine. Discover California wines at Winery-Sage.com.